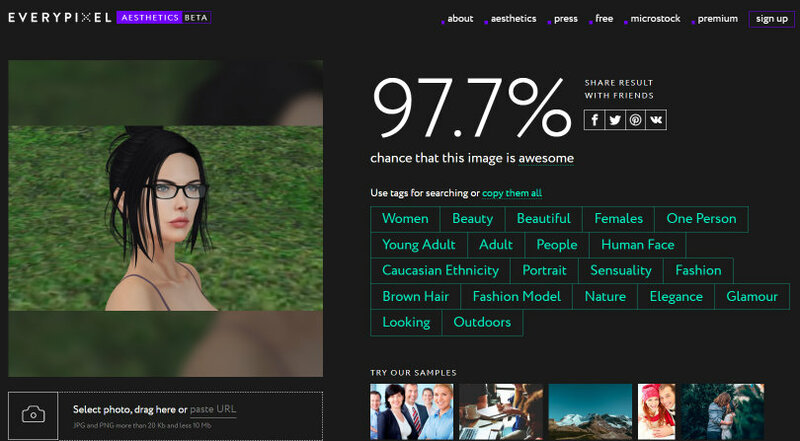 My photo has a 97.7% chance of being awesome. 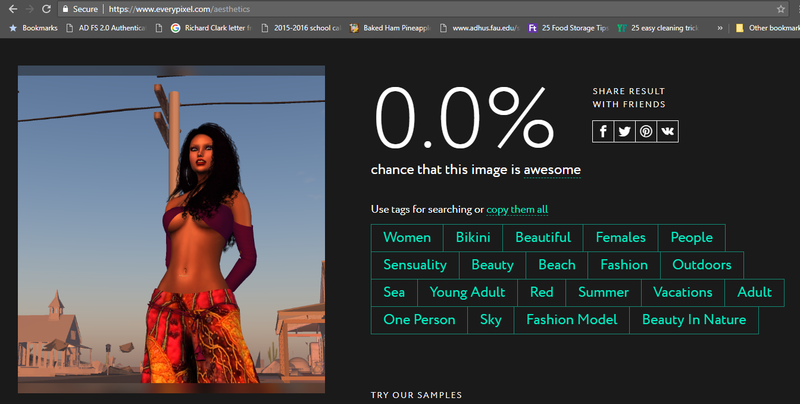 I found a website that uses a neural network (artificial intelligence) to evaluate how good is your photo is. 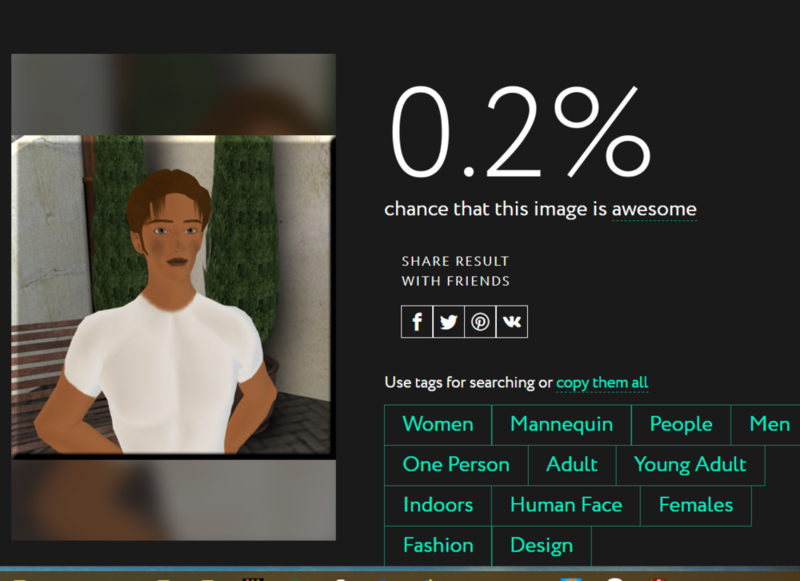 I tried a photo of my mesh SL avatar and got 97.7%! It even suggests tags for your photo. It's www.everypixel.com/aesthetics if anyone wants to play with it. You could try to remove the red cheeks to see, if the "women" tag disappears. somehow i don't get why this one only gets 51% .. in my opinion he looks better. It doesn't like big hair either apparently. A mostly naked @Patch Linden gets only 32%? This software has a serious bug! I'm filing a JIRA, like right now! I think the software mistook the telephone pole for your right arm. I mean, if this is considered 1.9%...I quit lol. There's nothing private here at all, in fact I'd say it seems like quite the public dispute to me. ?